I’ve learnt a lot about my extended family, from Sunday morning visits to St Peter’s churchyard. To be honest, I’d never been much of a one for churches or gravestones before. ‘Once you’re gone you’re gone – Life is for the living!’, that’s what Ma used to say. That’s before she ended up in St Peter’s herself. Now it’s a different story. She doesn’t still believe that. I know, because I sit and talk to her. I understand that she’s not physically there, but it’s where I feel the closest to her. 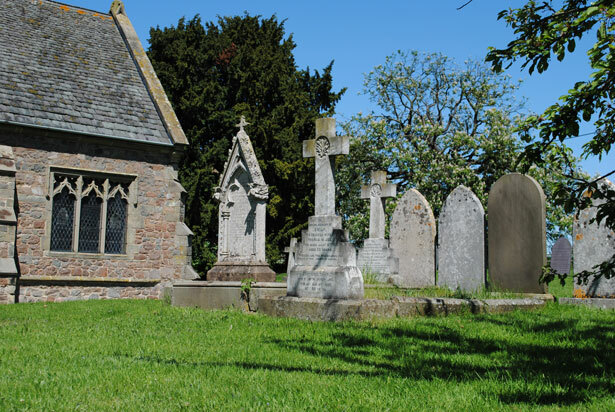 Without being morbid, you can learn lot from being in a graveyard. Each gravestone has a tale to tell. A few brief words encompassing a whole life. And there’s a kind of honesty that people have, in talking at a grave-side. It’s really opened my eyes, so to speak. I’d like to think my relatives have been drawn together in the six months since I’ve passed away. Their visits to my grave have now become a weekly family tradition. And I’m a lot closer to them than they realise.